1. Состояние онкологической помощи населению России в 2017 году (под ред. Каприна А.Д., Старинского В.В., Петровой Г.В.). М.: МНИОИ им. П.А. Герцена – филиал ФГБУ “НМИЦ радиологии” Минздрава России, 2018: 27–30, 136–140. 2. Урология. Российские клинические рекомендации (под ред. Аляева Ю.Г., Глыбочко П.В., Пушкаря Д.Ю.). M.: Медфорум, 2017: 293–357. 3. Zhang N., Zhou B., Huang Q., Chen X., Cui S., Huang Z., Sun Y. Multiple metastases of clear-cell renal cell carcinoma to different region of the nasal cavity and paranasal sinus 3 times successively: A case report and literature review. Medicine (Baltimore). 2018; 97 (14): e0286. DOI: 10.1097/MD.0000000000010286. 4. Новожилова Е.Н., Долгих Д.В., Чумаков И.Ф., Жуков А.Г. Редкое наблюдение метастазирования рака почки в верхнечелюстную пазуху. Опухоли головы и шеи. 2013; 4: 33–35. 5. Ather M.H., Masood N., Siddiqui T. Current management of advanced and metastatic renal cell carcinoma. Urol. J. 2010; 7 (1): 1–9. 7. Singh J., Baheti V., Yadav S.S., Mathur R. Occult renal cell carcinoma manifesting as nasal mass and epistaxis. Rev. Urol. 2014; 16 (3): 145–148. 8. Falco G., Buggi F., Sanna P.A., Dubini A., Follib S. Breast metastases from a Renal Cell Carcinoma. A case report and review of the literature. Int. J. Surg. Case Rep. 2014; 5: 193–195. DOI: 10.1016/j.ijscr.2014.01.019. 9. Михайлов М.К., Иванова И.И., Гилязутдинов И.А. Луче вая диагностика распространенности рака почки. Казанский медицинский журнал. 2003; 84 (5): 375–380. 11. Choong C.V., Tang T., Chay W.Y., Goh C., Tay M.H., Zam N.A., Tan P.H., Tan M.H. Nasal metastases from renal cell carcinoma are associated with Memorial Sloan-Kettering Cancer Center poor-prognosis classification. Chin. J. Cancer. 2011; 30: 144–148. 12. Alvarez-Mugica M., Bulnes Vazquez V., JalonMonzon A., Gil A., Rodríguez Robles L., Miranda Aranzubía O. Late recurrence from a renal cell carcinoma: solitary right maxillary mass 17 years after surgery. Arch. Esp. Urol. 2010; 63 (2): 147–150. 13. Klingen T.A., Klaasen H., Aas H., Chen Y., Akslen L.A. Secondary breast cancer: a 5-year population-based study with review of the literature. APMIS. 2009. 117 (10): 762–767. DOI: 10.1111/j.1600-0463.2009.02529.x. 14. Фишер У., Баум Ф., Люфтнер-Нагель С. Лучевая диагностика. Заболевания молочных желез. М.: МЕДпрессинформ, 2009: 39–43, 158–206, 217–218. 15. Mahrous M., Al Morsy W., Al-Hujaily A., AL-Sulimani S. Breast Metastasis from Renal Cell Carcinoma: Rare Initial Presentation of Disease Recurrence after 5 Years. J. Breast. Cancer. 2012; 15 (2): 244–247. DOI: 10.4048/jbc.2012.15.2.244. 16. Alzaraa A., Vodovnik A., Montgomery H., Saeed M., Sharma N. Breast metastases from a renal cell cancer. Wld J. Surg. Oncol. 2007; 5: 25. DOI: 10.1186/1477-7819-5-25. 17. Vergier B., Trojani M., de Mascarel I., Coindre J.M., Le Treut A. Metastases to the breast: Differential diagnosis from primary breast carcinoma. J. Surg. Oncol. 1991; 48 (2): 112–116. 18. Kannan V. Fine-needle aspiration of metastatic renal-cell carcinoma masquerading as primary breast carcinoma. Diagn. Cytopathol. 1998; 18: 343–345. 19. Durai R., Ruhomauly S.N., Wilson E., Hoque H. Metastatic renal cell carcinoma presenting as a breast lump in a treated breast cancer patient. Singapore Med. J. 2009; 50 (8): e277. 20. NCCN Clinical Practice Guidelines In Oncology. Kidney cancer. Version 4.2018. 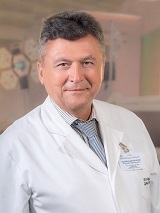 URL: https://www.nccn.org/ professionals/physician_gls/pdf/kidney.pdf. 21. Fuccio C., Ceci F., Castellucci P., Spinapolice E.G., Palumbo R., D'Ambrosio D., Bernardo A., Brunocilla E., Schiavina R., Maffione A.M., Chondrogiannis S., Grassetto G., Colletti P.M., Rubello D., Fanti S., Trifirò G. Restaging Clear Cell Renal Carcinoma with 18F-FDG PET/ CT. Clin. Nucl. Med. 2014; 39 (6): e320–324. DOI: 10.1097/RLU.0000000000000382. 22. Леонтьев А.В., Рубцова Н.А., Халимон А.И., Кулиев М.Т., Пылова И.В., Лазутина Т.Н., Хамадеева Г.Ф., Алексеев Б.Я., Костин А.А., Каприн А.Д. Применение радио меченых лигандов к простатспецифическому мембранному антигену для определения локализации биохимического рецидива рака предстательной железы методом ПЭТ/КТ (обзор литературы). Медицинская визуализация. 2018; 22 (3): 81–97. DOI: 1607-0763-2018-3-81-97. 23. Rowe S.P., Gorin M.A., Hammers H.J., Som Javadi M., Hawasli H., Szabo Z., Cho S.Y., Pomper M.G., Allaf M.E. Imaging of metastatic clear cell renal cell carcinoma with PSMA-targeted 18F-DCFPyL PET/CT. Ann. Nucl. Med. 2015; 29 (10): 877–882. DOI: 10.1007/s12149-015-1017-z. 24. Siva S., Callahan J., Pryor D., Martin J., Lawrentschuk N., Hofman M.S. Utility of 68Ga prostate specific membrane antigen – positron emission tomography in diagnosis and response assessment of recurrent renal cell carcinoma. J. Med. Imaging Radiat. Oncol. 2017; 61 (3): 372–378. DOI: 10.1111/1754-9485.12590. 25. Карельская Н.А., Кармазановский Г.Г. Диффузионновзвешенная МРТ всего тела. Хирургия. Журнал им. Н.И. Пирогова. 2010; 8; 57–60. 26. Koh D.M., Blackledge M., Padhani A.R., Takahara T., Kwee T.C., Leach M.O., Collins D.J. Whole-body diffusionweighted MRI: tips, tricks, and pitfalls. Am. J. Roentgenol. 2012; 199 (2): 252–262. DOI: 10.2214/AJR.11.7866.